Netherlands coach Ronald Koeman said Liverpool defender Virgil van Dijk has been playing with two broken ribs for the past few weeks. 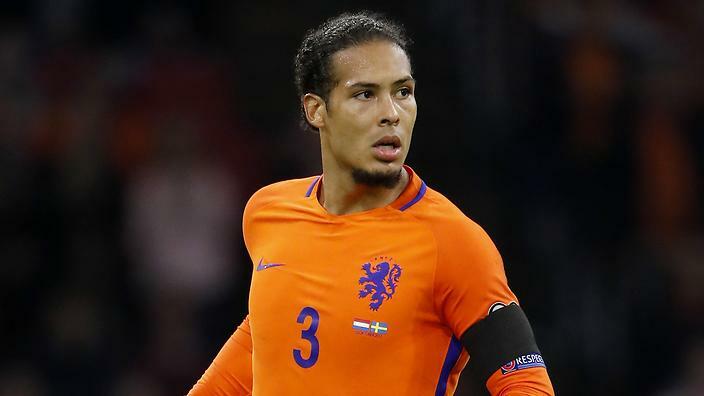 Van Dijk played the entirety of Netherlands’ 3-0 home win over Germany on Friday but will miss their friendly with Belgium on Tuesday. The centre-half returned to England early following an agreement between Liverpool’s medical staff and his national team. Van Dijk’s rib injury was first discussed after he was forced off early in Liverpool’s 3-0 win over Southampton on Sept. 22. Manager Jurgen Klopp said Van Dijk aggravated the injury during the game but had been battling a “bruise on his ribs” prior to the Champions League game against Paris Saint-Germain on Sept. 18. Van Dijk has only missed one game for Liverpool this season — a Carabao Cup third-round defeat to Chelsea in which both managers made eight changes to their starting lineups. Since the Southampton game, he has featured against Chelsea, Napoli and Manchester City. Koeman said at a news conference on Monday that he believed Van Dijk would be fit for Liverpool’s trip to Huddersfield Town on Saturday.